"An Immaculate Townhouse In A Quiet Location"
Description: Spacious, stylish & perfectly presented this large 5 bedroom family home is sure to impress. 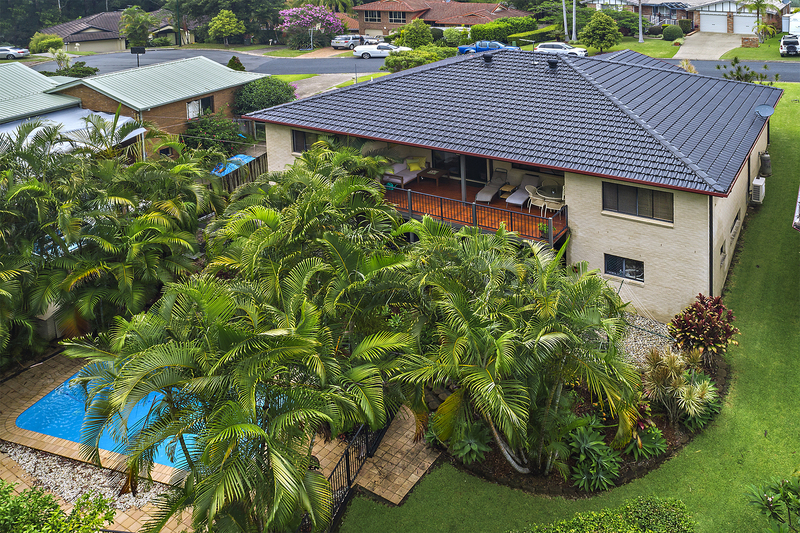 Positioned in one of Boambee East's most sought after streets the home has been thoughtfully designed & will appeal to families seeking space, courtesy of 3 separate living areas, 5 bedrooms, inground pool and huge storage facilities. Perfect for relaxing with family & friends the home affords 2 alfresco areas, both overlooking the beautifully landscaped pool and bush reserve backdrop. With the added bonus of granny flat or home business potential, quality inclusions and immaculate presentation this home deserves your inspection. Contact Florent & Mundey Real Estate Today!!! Email Florent & Mundey Real Estate Now!